Driving a new wave of innovation within the industry Arksen is a technology and innovation company set on building, capable and efficient explorer. The company is the brainchild of tech entrepreneur and investor Jasper Smith, who brings knowledge from a career spanning 30 years in the games and tech industry, including companies such as PlayJam, Fantastic Corp, Vala Capital, Optimistic, PlayStack and PlayWorks. Smith has recognised the opportunity within the marine sector and, with the creation of the new firm, is looking to provide a positive impact through technology, research, exploration and adventure. Behind Arksen is an exceptional team from across the marine, aviation and technology sectors, as well as a number of world-class partners including Humphreys Yacht Design, Wight Shipyard Company, Design Unlimited and Waterline Media. Designed for explorers and made for adventure, these vessels have been designed to meet the requirements for true explorer vessels in the 20 to 30m range, and that can be manned by minimal crew. On almost every level, the Arksen vessels beat the competition. On the strength, range, environmental impact, life-cycle management, usage opportunities and maintenance, the series of new explorer yachts stand out. All interior layouts are easily reconfigured so they can be used for leisure, research and commercial purposes. 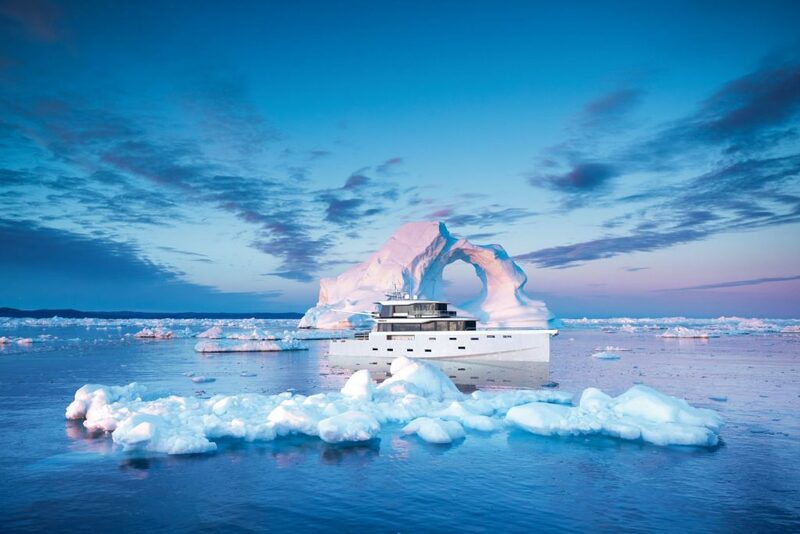 Through the infusion of the latest technologies and ownership models, Arksen have created a series of platforms that will inspire the next generation of explorers to embark on their dream adventures. Arksen have set out to not only create the world’s best explorer vessels for ocean adventure but also to allow owners to use their vessels to the full, creating curated expeditions around the world through the ‘Explorers’ Club’, and the research and conservation projects that Arksen support through the ‘Arksen Foundation’. The Arksen Foundation, a not-for-profit organisation, has been set up to provide project funding, facilitate cutting-edge scientific research and create innovative media to inspire a greater understanding of the beauty, complexity and fragility of the ocean ecosystem and its interfaces with the land around it. All Arksen owners join the Foundation and pledge to donate 10% of their vessels’ annual sea time to projects that the Foundation collectively supports; allowing scientists, explorers, thought leaders, filmmakers, journalists, photographers, artists and athletes access to a fleet of vessels from which to run their projects and realise their ideas. As a statement of intent and a sign of Arksen’s commitment to the environment, Arksen have signed up to ‘1% for the Planet’, an international organisation whose members commit to donating the equivalent of 1% of annual sales to support environmental causes.